Cold temperatures and a coloured Carr Mill kept a few of the anglers away and 49 tickets that were sold for the 10th qualifier of the series. 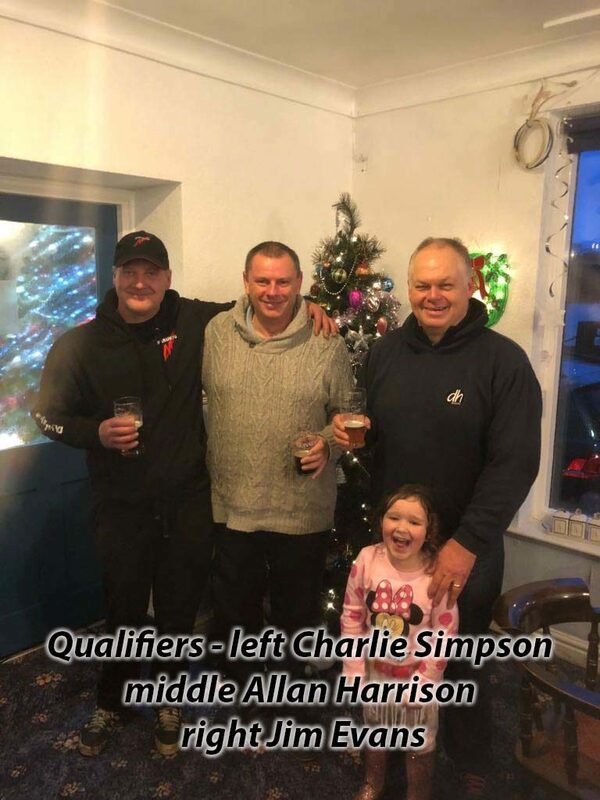 Winner on the day was Allan Harrison (St Helens AA) who drew peg 110. 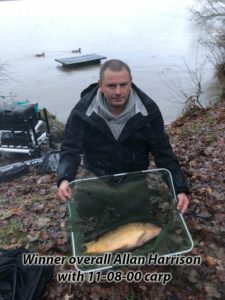 Allan fished the method feeder at distance and just one bite was enough to win the match. A carp of 11-08-00 was enough to scoop the pool and place him in the March Grand Final. 2nd on the day was Jim Evans (DH Angling) who caught 10-04-00 of skimmers from peg 76. Jim fished a ground bait feeder with worm. 3rd placed Micky Lever drew peg 78 and the St Helens rod fished a ground bait feeder with worm to land 7-08-00 of skimmers. 4th on the day was Charlie Simpson with 4 fish in the last 20 minutes from peg 81. Our thanks are extended to the match organiser Andy Burrows who organised a great match. Our thanks to Carr Mill on a difficult and very cold day.